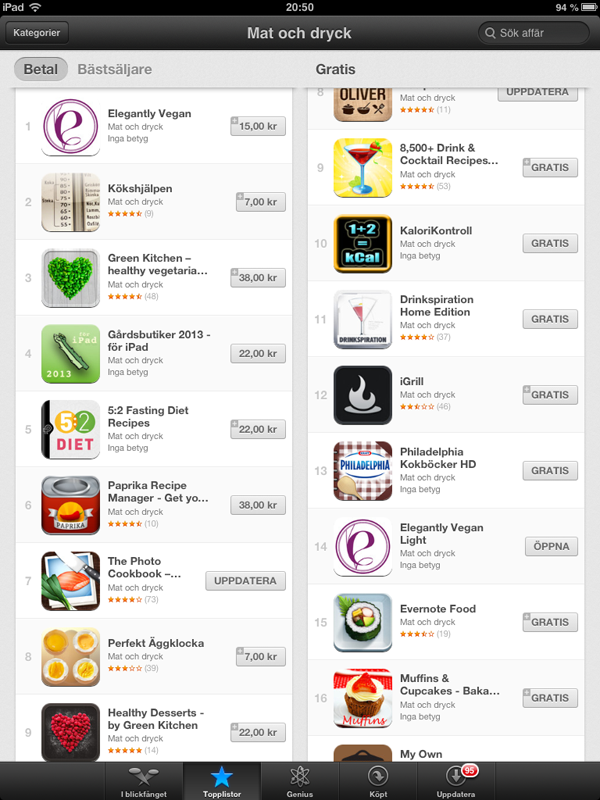 I’m super exited to share that Elegantly Vegan’s iPad edition is currently listed as number 1 in the top chart for Food & Drink in App Store Sweden. I’m so stoked and proud right now! The iPad edition offers a richer experience of the cookbook, due to the larger format there is more to play with and also more advanced features available. Such as a voice controlled mode which enables you to swipe back and forth without having to touch your iPad while whipping up some vegan magic in the kitchen.